We Are An Approved Veterans Guitar Training School. For years, The Eastern School of Fretted Instrument Repair has done well to educate class after class of professional lutherie technicians. With the skills and techniques learned at their NJ guitar repair school, graduates have gone on to work at professional guitar repair shops, and many have even started their own businesses. 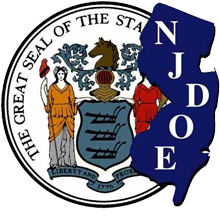 As a leading NJ guitar repair school, The Eastern School of Fretted Instrument Repair School is pleased to share with potential students that the school is certified by three major organizations here in New Jersey. These certifications only help to validate The Eastern School of Fretted Instrument Repair’s authenticity as well as solidify our status as an approved veterans guitar training school. Any student familiar with the way things are run at this leading NJ guitar repair school won’t be surprised with the certifications that they’ve garnered. 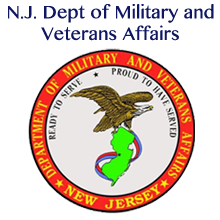 The Eastern School of Fretted Instrument Repair is certified by the U.S Department of Veteran Affairs, the New Jersey Department of Education, and the New Jersey Department of Labor. The Eastern School of Fretted Instrument Repair encourages anyone interested in possibly pursuing a career in the lutherie industry to contact them to learn more about the program. As a legitimately accredited trade school, you can rest assured that the skills you’ll learn at The Eastern School of Fretted Instrument Repair will serve you well in the real world. For more information about The Eastern School of Fretted Instrument Repair (NJ Guitar Repair School), please feel free to contact us at 888-686-6090.